Abbey Estates offer for rental this three bedroom house situated immediately off Chadwell Road within close proximity to Grays town centre, where local shops, schools, amenities and mainline train station with easy access to London Fenchurch street and Chafford Hundred, whilst having easy roads links to A13/M25. 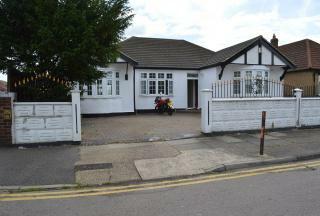 One of the nicest bungalows we have seen for some time available for rental. 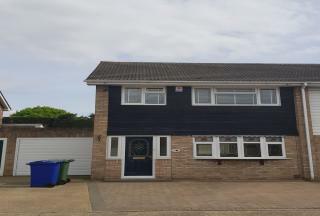 The gorgeous exterior is matched by a stylish interior that features sizeable accommodation including three bedrooms, lounge, kitchen/diner, ensuite to master bedroom and shower room, decoration to a good specification, plus a host of other fine features. 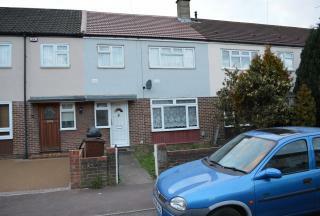 There is also a rear garden and off street parking for 4 cars. Viewings can not come more highly recommended on this fine home. Abbey Estate Agents offer for rental this spacious and newly decorated 3 bedroom house in Ilford, the property is newly decorated through out and consists of 3 bedrooms and two bathrooms, Off street parking for 2 cars , large garden to rear, Gas central heating, Double glazed, excellent location close to all amenities and Available now ! !